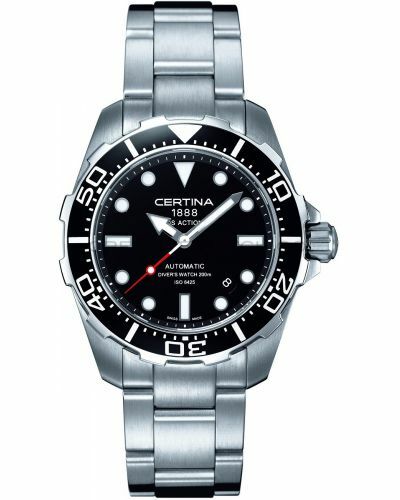 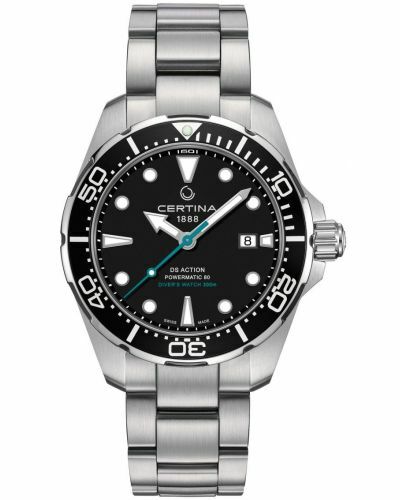 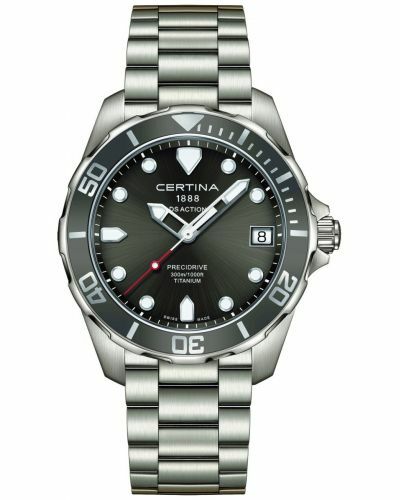 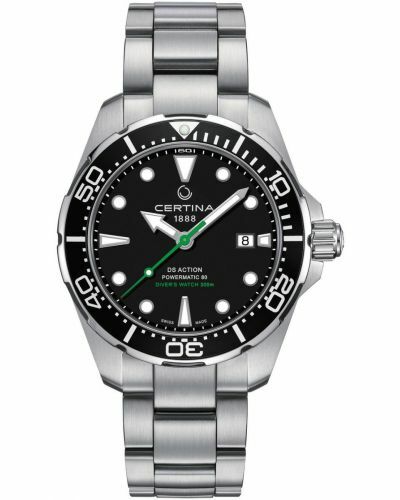 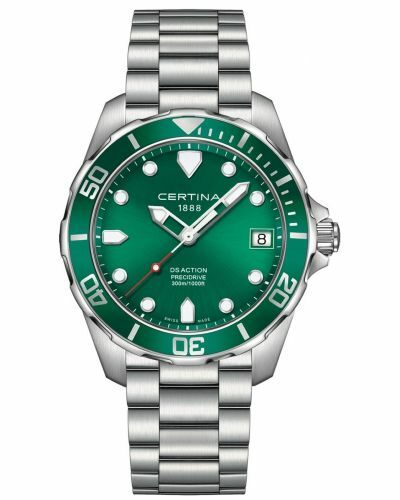 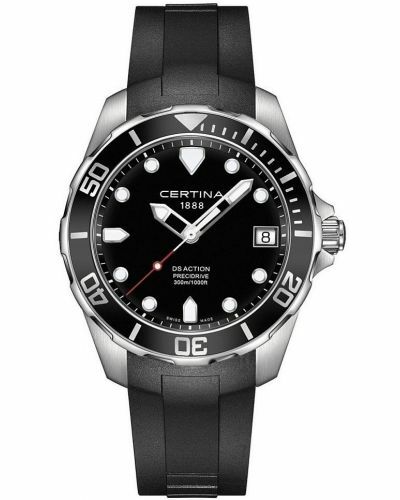 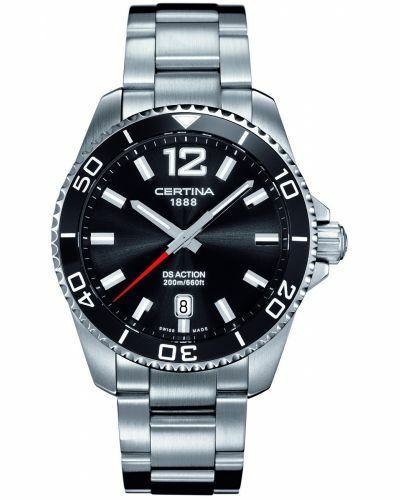 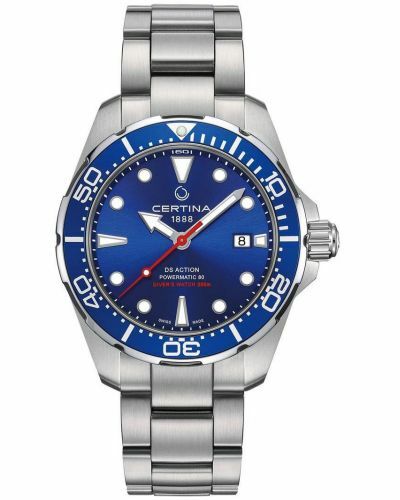 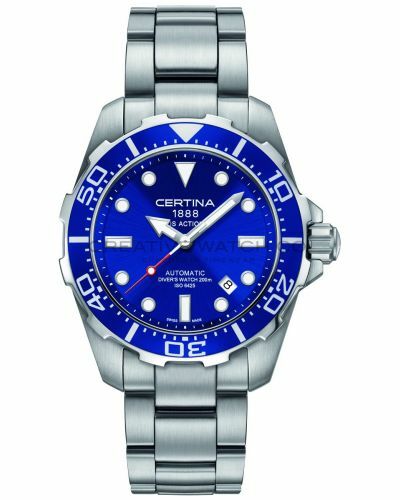 Mens Certina DS action precidrive stainless steel divers watch. 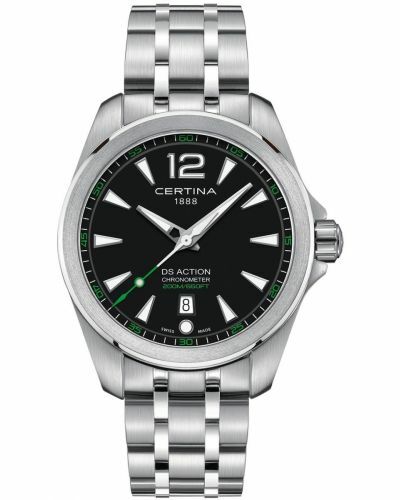 Has a round stainless steel case with a black tinted bezel. Features a jet black dial with crisp white applied batons, small date display window and red seconds hand. 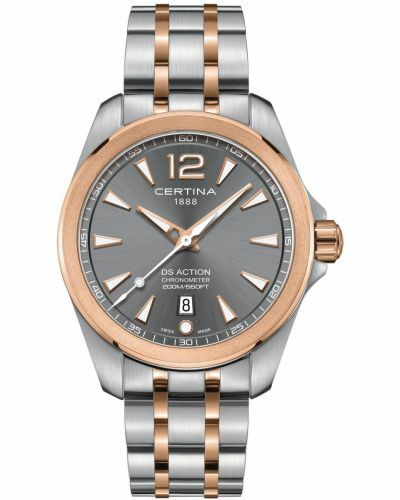 Has an all brushed stainless steel bracelet with a safety fold over clasp. 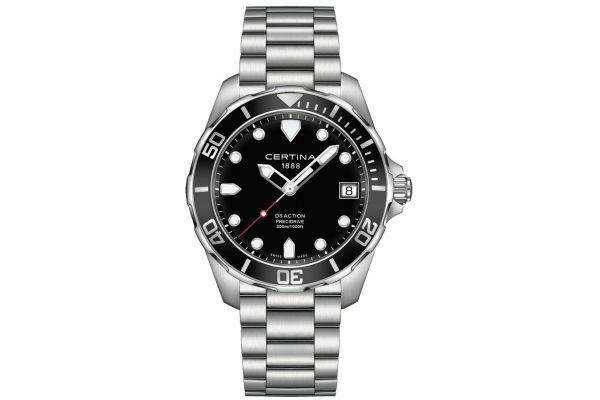 This is a stunning time piece that looks stunning on the wrist but can also handle the harshest of conditions.